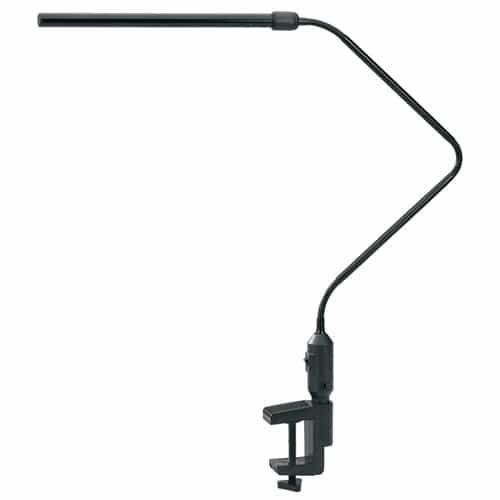 This gooseneck task lamp has a flexible neck so you can focus the light where you need it. The clamp attaches easily to many surfaces. It features a sleek, aluminum construction with a matte black finish. The design of the bulb cast is a modern strip shape. The diffusor provides even light distribution. Really adjustable, really affordable, perfect lamp for my office desk!